ok, so we all know that the fun is in building that unbeatable squad with a matching tactic. but how about putting in some way to randomly generate individual soldiers, or even whole squads? like say have a button on the main placement screen that when hit will replace the existing squad with one thats totaly random? and on the equip screen, a button that will randomly select the gear, race and looks of said soldier? You'd get quite a few "The fu..."
Or the opposite, 3 rocket launchers and no ammo. thats what i was thinking, but its a simple fix, force a soldier to have at least one item with the attribute "IsGun = 1;"
Edited by Sporb, 07 March 2006 - 02:33 PM. Maybe have predefined "sets" of weapons and equipment for each soldier? That would be very playable, just have a dozen or so templates like Sniper, Grenadier, Scout etc. and randomly pick from those. Better yet, why not have each weapon grouped as a set with its ammo types. That way you could still have strange, off the wall soldiers who would be completely unbalanced, but at the same time would have a weapon with matching ammo. I feel that a fully randomized soldier in this way would provide a better experience because you would have to learn to adapt to oddly equiped soldiers. As for the unbalanced stats: in X-Com you often had soldiers who were almost completely unfieldable due to their stats. Edited by Robotrek, 12 June 2006 - 08:00 AM. Here is my newly created random squad generator. It creates a team with random names, races, appearances, armor types,stats, and weapons. The name generation I borrowed from the squad which is in the game the first time you load it. The races include all current races aside from the chameleon. The stats still don't spend every last point every time, but it took me awhile to get them to where they are. 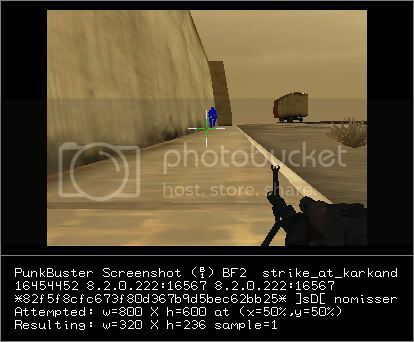 In the current version each soldier comes equipped with a random weapon in his hand, with matching ammo already loaded. They also have a sidearm in the form of a pistol or knife on their belts and a random grenade on each shoulder. Currently it supports the UFO 2000, original, and modified X-Com weapons. Unzip the squad files into your UFO 2000 directory and then run the game. In the squad editor menu load the squad file with the appropriate weapon selection. I have made the files "read only" so if you accidently try to save over it no harm will be done. The men are suprising balanced most of the time and the point value tends to range between 17k and 20k. I saw the strength issue while I was testing it and I figured that it would not be a problem because your troop's can still function with more weight than they can carry. However now that you have mentioned it I guess I will have to address the issue. In a few days I will try to create a new version that better adjusts your unit's strength to their equipment. Perhaps we should include your squad generator as a default set? We already have random names, random equipment/units would be a good show. I seem to be having some problems making the strength reflect the weight of the weapons carried. One simple and easy fix would be to have a set number of heavy weapon guys who wouldn't have grenades, or could have a geater a higher chance of receiving a high strength. The trouble is, how many soldiers in a 15 person squad should have heavy weapons? I'm thinking about 4, but I haven't done anything with that yet. I updated my random generator so that the gender is only female if it is human. Before this created squads which were about 50% female humans, now there are comparitively more aliens and men. On that same note though, there is a bug in some piece of programming somewhere (perhaps my own) that causes a blond female in no armor to look like a blond male in standard armor some of the time. When you click on them in the unit editor screen they snap to normal, and it doesn't affect anything but the inventory pictures. There is a total lack of blond males in standard armor so I think that when these are picked it becomes an unarmored blond female, but why??? 15 man squad = 1 squad leader/ 3 four man fire teams.. Yes, the USAF does have ground forces. Security Forces (aka military police) to be precise. I was one. Our training was straight out of the Army manuals, even spent time on an Army post in tech school, but this is all beside the point. The only reason I mentioned it was the similar squad sizes in the game. Edited by the_unfrgiven, 01 July 2006 - 02:08 AM. Even though there is very little interest in this I have created a new, more balnced random generation system. In this new version you have one leader (complete with rank) who has a pistol and three grenades. He is backed up by nine standard troopers with rifles and two grenades. There is a support group of five strong men with heavy weapons and a knife or pistol. This type of squad is much more fun to play than my other random ones because they look and play almost like you planned them. I particulary recommend setting the point value to 25K (even though the points rarely generate above 20k) and have both players randomy pick squads and then deploy without looking at which unit has what gun. I recommend hotseat games for this as it is harder to cheat by selecting squads when the opponent is within arm's reach. and one way to handle the weight issue could be to do the strength and all that first, and if so eliminate some of the heavy stuff if the strength becomes to low. hmm, would have been nice to have this inside the game itself as a button or something (alltho it works fine as a loadable squad). just hit a button and they will deploy randomly inside their zone. Well, it would appear that someone has decided to change the names of several weapons and has reorganized them for the update. Well this is good knews it also means my old random squads are now obsolite. Here is a new one complete with alien/human only squads. Please post bugs and suggestions. Dont get all exited yet, there are more changes to come for the set that werent included for various reason. They will change again before long. Well, hello! And this particular "Hello" is from... Russia! First, i'd like to say that i play this game with gr8 enjoy and like the idea of random squads. But the last your update get some bugs in v0.7.1079 - the one that was released on the 1st of April. Well, your squad is actually some kind of buggy - i tried it and always got some trouble with my weapon set - i never could get the right one! there always were some units with wrong weapons! Also, my friend, with whom i tried your "invention" over LAN constantly got some troubles loading (Alien) squad - he said that game just kicked him off from the weaponary - and he again was sitting in the "MAP room". So, i don't know if it's the problem your squad, or his computer - he just copied my Game Folder over the net and began to play, but I DIDN'T HAVE THAT ERROR! (well, not error, because no error message were given, but, say, bug). kraplax: to add more info to Sporb's reply. The weapons sets are all set. But you can only pick ONE weapon set for your entire team, even the units you are NOT bringing to battle. Easiest way to do this is take your roster, and hit 'delete' in each inventory setup screen, start fresh. Weapons that need ammo have to be loaded. You can also save/load teams you have created, if you like a setup but want to try something else for a while. As for your friends problem, I have no idea... it sounds like something on his end, or miscomunnication of what is actually happening.